A handful of senators late Wednesday scrambled to try to ensure that federal workers would receive a pay raise in 2019 if Congress is able to pass a shutdown-averting, stop-gap funding bill acceptable to President Trump. Roughly one-third of federal agencies are scheduled to lose funding after Friday. On Wednesday afternoon, Senate Majority Leader Mitch McConnell introduced a continuing resolution to fund through Feb. 8 the agencies that don't yet have full year appropriations. While the measure, passed by unanimous consent late Wednesday, would avert a partial government shutdown, it did not include the 1.9 percent pay increase for federal civilian employees the Senate had previously approved. Sen. Chris Van Hollen, D-Md., on Wednesday afternoon spearheaded an eleventh hour effort to add the pay raise to the continuing resolution. Although he had 12 cosponsors, the amendment was left out of McConnell’s list of potential changes that would be considered, meaning it would have required unanimous consent to be brought up. 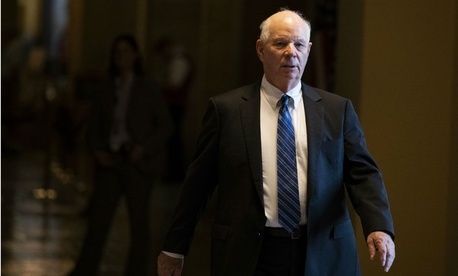 Sen. Ben Cardin, D-Md., said there could be other avenues to approve a pay raise before Congress adjourns, although he said that they all would need McConnell’s approval. The urgency surrounding a pay raise stemmed from the fact that President Trump has proposed instituting a pay freeze next year, and there is uncertainty about how Congress could retroactively overrule that action. “We obviously can do whatever we want to do legally as far as passing legislation, but [the Senate pay raise proposal] is an adjustment that was set by law to take effect,” Cardin said, referring to the fact that the base pay side of the pay adjustment proposal is based on calculations for 2019 through the Federal Employees Pay Comparability Act. There is likely a legal way to retroactively provide a pay raise, but lawmakers would need to figure out the proper way to do it. “Once you pass the magic date of January, what is the effect of existing law when Congress authorizes it after the first of January? It just adds uncertainty,” he said. Cardin, when asked if they're still trying to get pay raise into the CR, said, "We are, we're trying. We've had conversations with leadership on it . . . the process here is limited . . . It would require Leader McConnell's cooperation. I have not seen that to date." This story has been updated to reflect that the Senate passed the CR late Wednesday.